This paper presents some concepts on the VHTS gateway rollout scheme. The practical implementation of these concepts may be tied to specific satellite payload designs and the available space-ground segments control management system features. 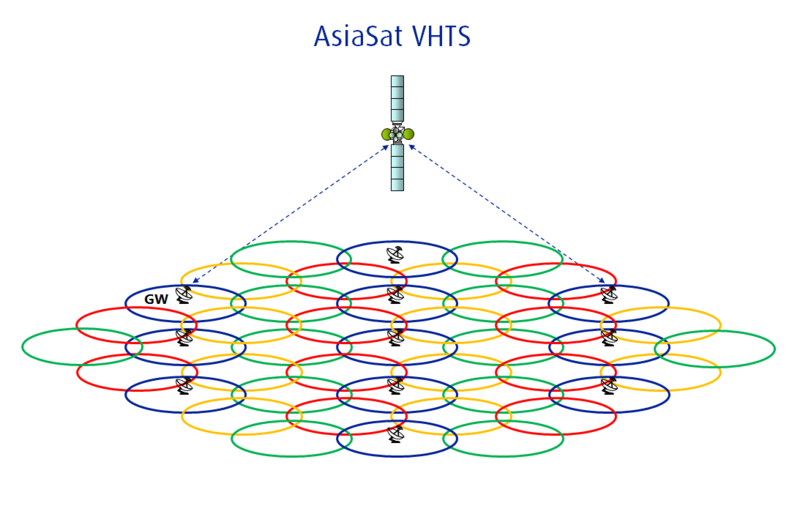 With the advanced technology development in the multi-beam High Throughput Satellite (HTS) industry, the achievable capacity of a single HTS can be further enhanced to more than 500 Gbps and become a Very High Throughput Satellite (VHTS) system. To realize such enhancement, the ground gateway system deployment must be carefully designed and implemented. In principle, the total amount of usable capacity of a VHTS is directly proportional to the total number of active gateways in the whole network.